These are wonderful. Not sickly sweet, but will satisfy a hunger for something sweet. They're soft (won't break your teeth like the bars at grocery store). Just SO good. This combo is too sweet to taste even though it is only 17 or 18 grams of sugar, which is perfect for a snack or meal for a gastric bypass recipient. 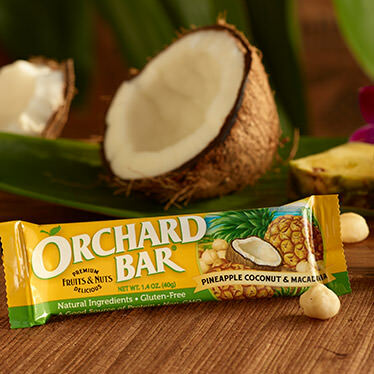 The combination, though normally a favorite, is just too much in the snack bars. 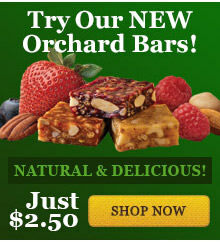 We bought a variety of flavors of your Orchard Bars in the 1 lb bags. We totally love the bars. Can we buy the 1 lb bags online?